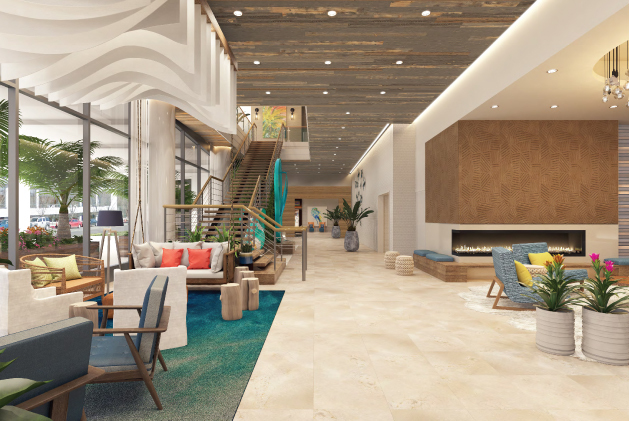 Opening Fall 2019 - Margaritaville Hotel Nashville will be a hip, island riff on Nashville’s diverse music scene. The rich history and musical legends of Nashville are artfully woven with the understated comfort of a tropical escape creating a unique hotel experience with urban latitude and island attitude. Like no other hotel in the city, Margaritaville Hotel Nashville will be your home port for getting out there and living everything this iconic city and vibrant SoBro Neighborhood have to offer. When you just want to stay in and savor your escape, the resort-like design and thoughtful amenities will amplify your Nashville adventure and transport you to a place where someday becomes now. Immerse yourself in the unique culture of Nashville, unwind in chill luxury, discover something new, or write your own song! Much more than just a place to stay while you enjoy everything about this fabulous city, Margaritaville Hotel Nashville is a destination within the destination with its lobby level restaurant and bar and rooftop pool and Fins bar. From your wake-up morning coffee at the onsite Starbucks to pre-show cocktails on the rooftop or winding down nightcaps in the lobby, we are your haven in the city. Your urban retreat transports you to a relaxing escape that engages your senses and takes your room experience to a whole new level with the laid-back luxury of an island resort and the energy of downtown Nashville. Every room and suite is finished with thoughtful amenities like lavishly comfortable bedding and spacious baths with signature potions to soothe and renew you and the technical gadgets to keep you connected. Accessible bathroom with grab bars, roll-in shower and accessible vanity.